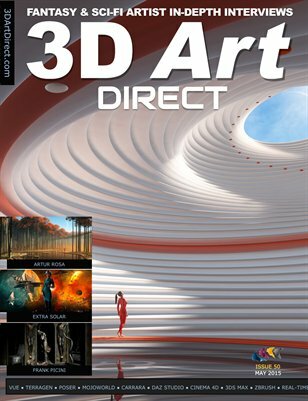 Read Issue 38/39 of 3D Art Direct : Double Issue New Look Magazine! 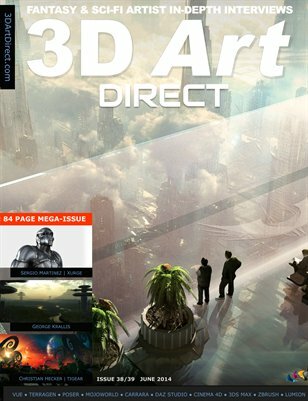 I’m very pleased to introduce you to our change and new look for the 3D Art Direct magazine. Since 2003, Lewis Moorcroft has been impassioned with digital art, with the use of Pandromeda’s Mojoworld. He has produced an extraordinary portfolio which has now been extended with new artwork and music showcased at his new website “Astral Realm”. 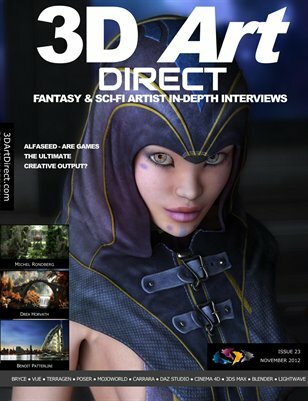 Here we re-publish our interview with Lewis from Issue 17 of 3D Art Direct. 3DAD: What inspired the creation of your new Astral Realm website? Was it an idea that you’ve harbored for a long time? LM: In a word – yes. I forget when exactly, but maybe about three years ago the idea came into my head – I wanted to re-invigorate my portfolio by taking it the next level with my next-generation artwork, as well as incorporate another ‘bedroom’ hobby for mine – being a DJ. My first site has done well over the years and I will keep it up so that the content will always be accessible (I may even update it with the odd WIP or anything that doesn’t make it to the Astral Realm site), but it was time to move things on. Already on our mailing list? 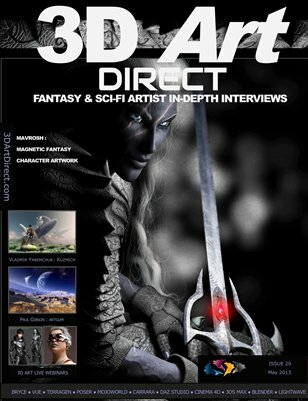 You’ll have an email already sent to you for the magazine below. 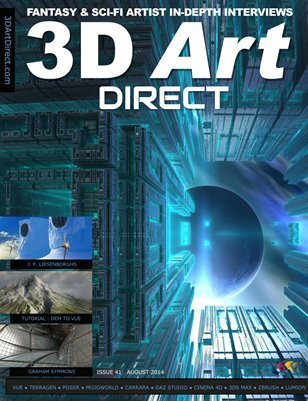 This issue of 3D Art Direct is a special compilation of some of the best interviews we undertook in the earlier editions of the magazine. There are 106 pages of outstanding gallery artwork and interview text with these seven great artists shown below. 3DAD: If there was one function you could add to Vue that it currently doesn’t have – what would that be?! AR: A “Cloud Painter”. I would like to have the possibility to paint clouds in the sky in the same way as we can now paint materials in terrains or paint trees in a field. 3DAD: What was one of your first “breakthrough” images that you published, where you started to get a lot more feedback and more notice for your work? AR: “Assassin”, from November 2007, was the first. 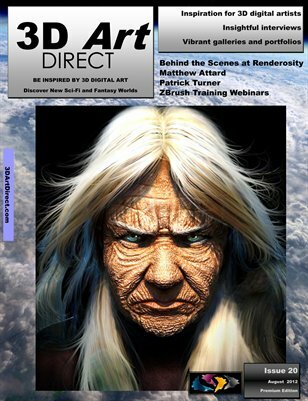 This was my first image that was used by e-on in a marketing initiative (in Siggraph 2008, I think). 3DAD: Tell me about yourself. Where are you from? MojoWorld aims to take landscape design a stage further than Bryce, enabling you to produce not just individual landscapes, but entire planets. The grand concept is that everything is created procedurally, so once you set up the parameters for your planet, it will look good whether you view it as a globe from space or zoom in to a single rock outcrop. You don’t so much create pictures in MojoWorld as geological and atmospheric conditions, even moons and ring systems. You then explore your world to find a vantage point to plant your virtual camera and render the image. Exploring can be done in a walk, plane or UFO mode. 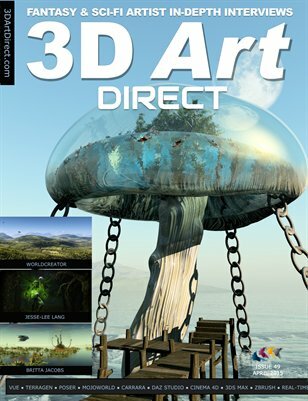 Even though Mojoworld is older 3d art software (it may yet evolve into something more powerful), it was an important landmark on the map of 3d software, especially since the author of it was Ken Musgrove who underpinned the original Bryce (which created single landscapes) with his work on using fractals for 3d art. With an ailing BBC Micro B computer and a short textbook on 3D geometry, I created a crude wire mesh landscape—my first 3D digital world slowly rendered into being in 1986. Despite the graphical simplicity, the notion of creating any landscape from scratch, albeit empty of any detail, was greatly appealing. Perhaps it was all those wire frame flight simulators written for the 8 bit processors of the day that inspired me. Or was it the 1983 release of the landmark Atari “Star Wars” 3D vector graphics game that first sparked my imagination? “How did they do that?” I asked. “Could I fit one in my bedroom?” I also asked. Luckily the game was ported to the 8 bit computer world soon after it’s release. 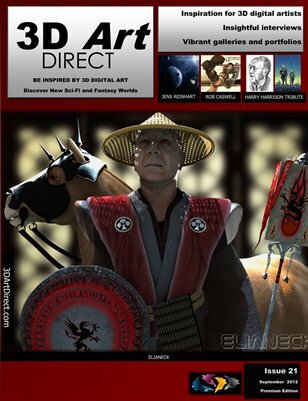 Nowadays 3D graphics pervade our media. 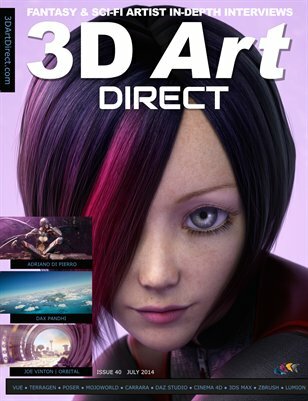 The hardware and software to create realistic looking 3D artwork has come within the reach of many more of us. Bryce , using fractal geometry, appeared in 1994 for the Apple Mac and was a quantum leap forward for digital artists. It was an impressive tool for creating realistic landscapes with the kernel created by Ken Musgrave (who later created Mojoworld).